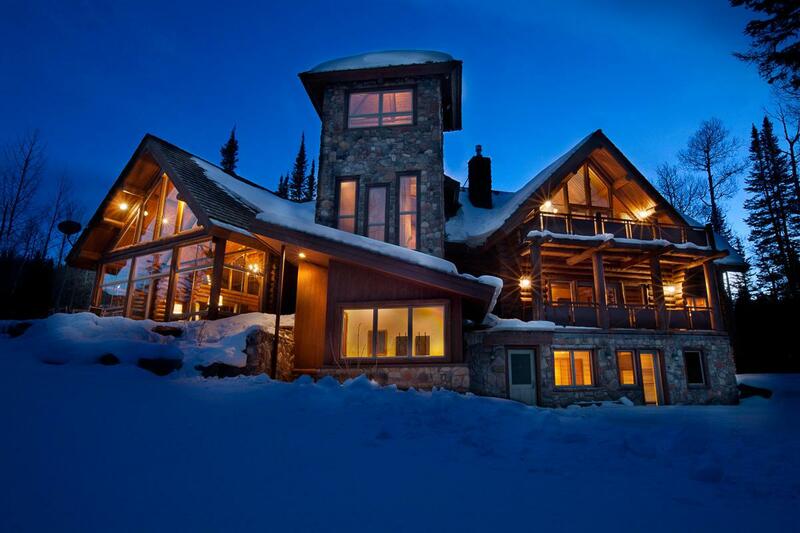 Seamless Ski Access best describes this estate's location, both departing and arriving on grade from Bridges Ski Trail to its ski room with equipment storage and boot warmers. 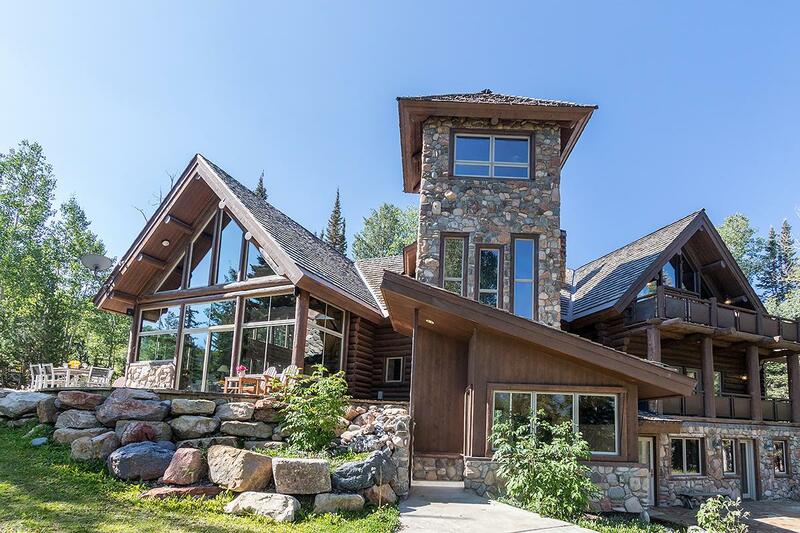 Recently re-modeled with a mountain contemporary flair, 119 Palmyra is the ultimate retreat for generations of family that comfortably sleeps seventeen within six spacious bedrooms and bunkrooms. 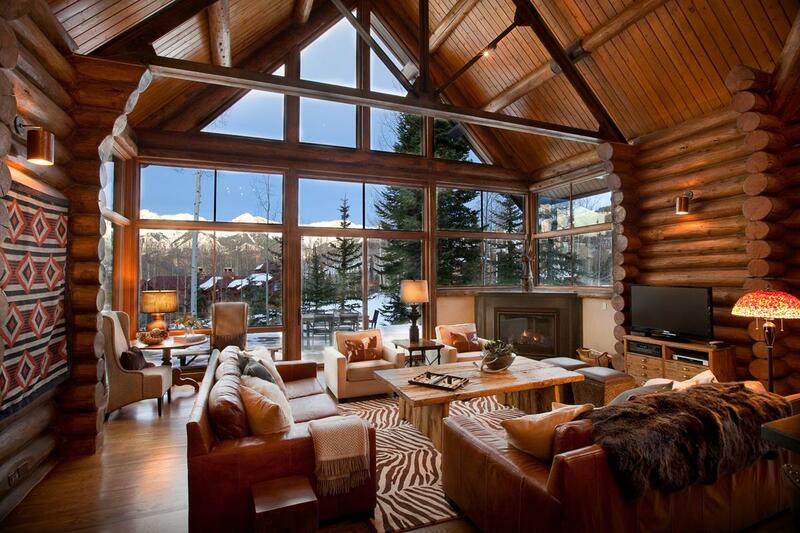 Expansive mountainous views from the great room explode at entry through floor-to ceiling windows spilling sunlight upon a two-and-a-half-story great room replete with a steel and glass fireplace. The open main level floorplan flows effortlessly to the dining area and a chef's kitchen with breakfast bar, concrete countertops, hand crafted cabinetry, upscale appliances, including built-in Miele coffee maker,Dacor double oven, Asco dishwasher and Sub Zero refrigerator /freezer. Central to the room is a full service bar with sink and ice maker. Generous slopeside decking and yard further expands the interior to the outdoors for family BBQs and hot tubbing. 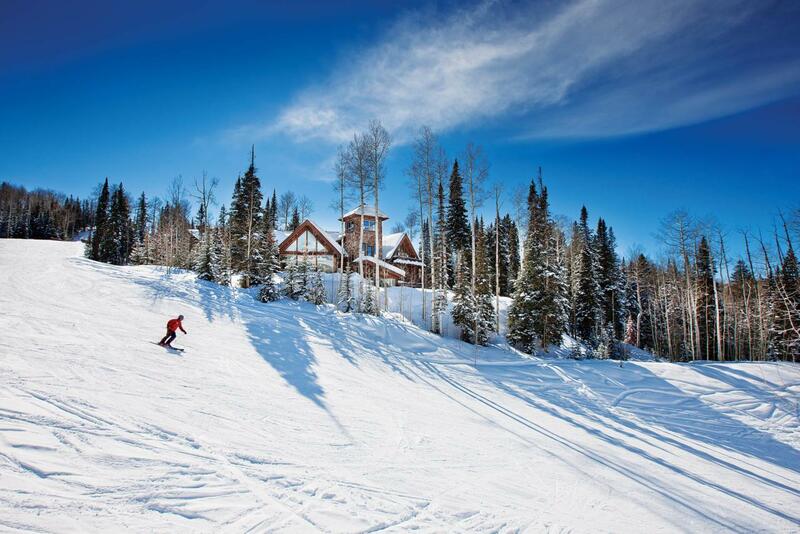 A second master, bunk room, guest suite, powder room and ski room complete the main living level floor plan. A grand master suite occupies the entire upper level, with fireplace and spacious ensuite bath replete with jetted tub and appointed with slates and travertines. Two private lounging / reading rooms afford additional privacy within the suite that also connects with an open loft, ideal for quiet family downtime as a sitting room overlooking the great room. The lowest level encompasses a family / game room with two fireplaces, full service bar (refrigerator, icemaker, dishwasher), wine room, pool and ping pong tables. An additional bunkroom, guest suite, powder room and laundry complete this level that offers areas of separation for generations of family and friends, as do other levels of this exquisite residence. Atop this estate is a "yoga tower" offering 360 degrees of viewscape with an atmosphere for quiet meditation.